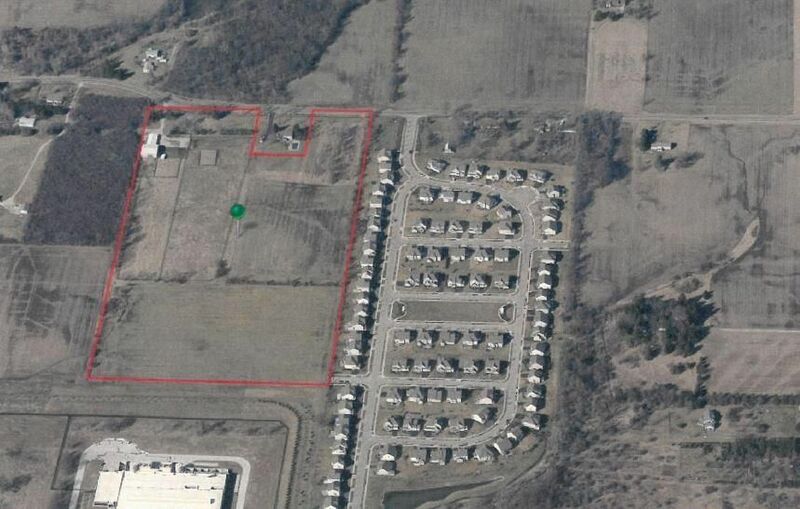 32.16 acres of Prime Development land locate just North of New Albany Road East in New Albany. This property is surrounded with General Employment zoned land which this parcel offers that same zoning possibilities. The land is very flat and has maximum road frontage on Walnut Street. All utilities close by and incentives attainable from the City of New Albany. Similar properties near by Being marketed in the $180K- $220K price ranges. Excellent opportunity to be part on the Innovative Campus of New Albany with all of the fiber optics and other amenities. Also, includes a 2, 900 sf very nice residence on a separate 1.37 acres. Could be a great executive homeor utilized for other options, security, temporary residence etc.